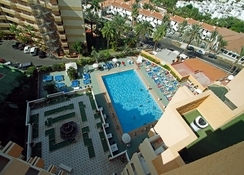 The large, 3-star Apartamentos is located in the centre of Playa de las Americas giving guests access to the local beach and the sprawling promenade. The apartments provide guests with the ideal base from which they can explore all that the resort has to offer. 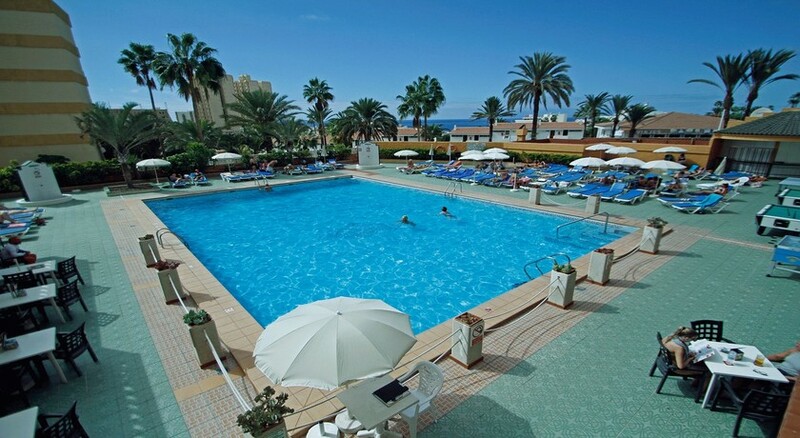 The apartments are large and spacious and with an outdoor pool, guests can enjoy every drop of sunshine. In the area, guests can explore shops, restaurants and bars as well as golf courses and water parks. The Apartamentos Caribe is the ideal destination for those looking to create their own holiday in style. 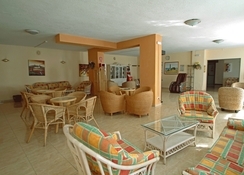 Guests can really take advantage of being in a prime location when they stay here because the bustling resort of Playa de las Americas is just a short stroll away. Troya Beach enables guests to feel the sand between their toes or explore the water sports on offer. There is plenty to see and do including fabulous golf courses, exciting water parks and as many restaurants and bars as guests could ever need. The hotel puts guests at the heart of the action, ensuring everything they need is just a short distance away. The hotel is 16km from the airport. The apartments provide guests with a comfortable stay with plenty of space and traditional décor. 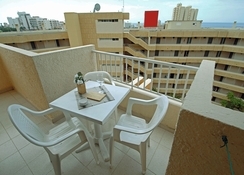 There are Standard Apartments and Studios on offer, providing guests with a balcony, living space, kitchenette, private balcony, air conditioning, satellite TV, telephone and safety deposit box. There is also a private bathroom with bath and shower, ensuring guests have all that they need. 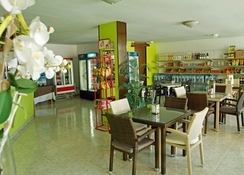 Guests can take advantage of being able to choose where they eat when they stay here although there is a snack bar on site offering light bites and refreshing drinks. There is a buffet breakfast on offer but guests can venture out of the complex to explore a huge choice of restaurants and bars that are suitable for all. There is a large pool for guests to enjoy and a sun terrace that encourages relaxation. There is a tennis court for those who like to keep active and a mini golf course which is great for the little ones. Keen golfers can take advantage of the Las Americas Golf Course but also a water park and beaches offering water sports and thrills at the same time. I had a very pleasant stay at caribe and a fantastic holiday.